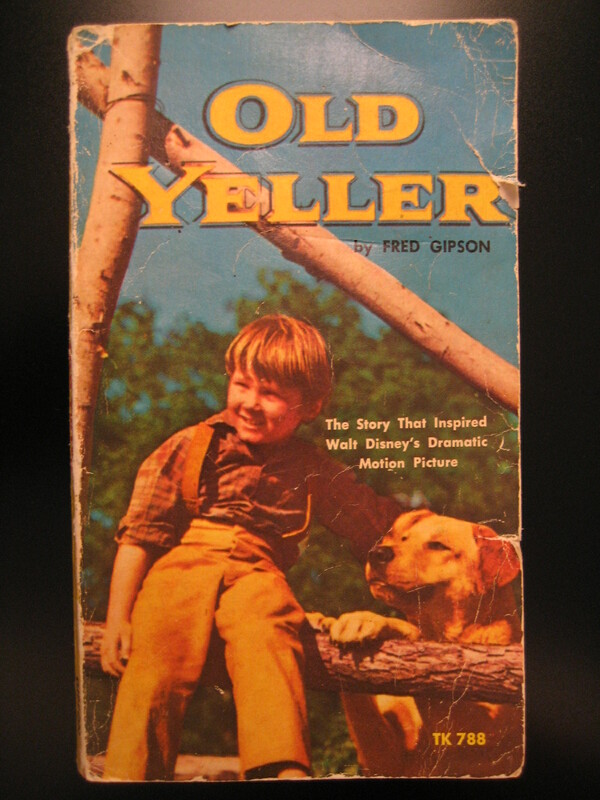 Old Yeller by Frank Gipson. Oooh – not good. Showing this version of Gipson’s staple to young readers may induce a response beyond just a simple “politely put it back on the shelf”. There is a pretty good possibility of getting heckled on this one. The cover image has a stiff quality that, and I might be mistaken here, appears to stem from a pretty primitive airbrush job. 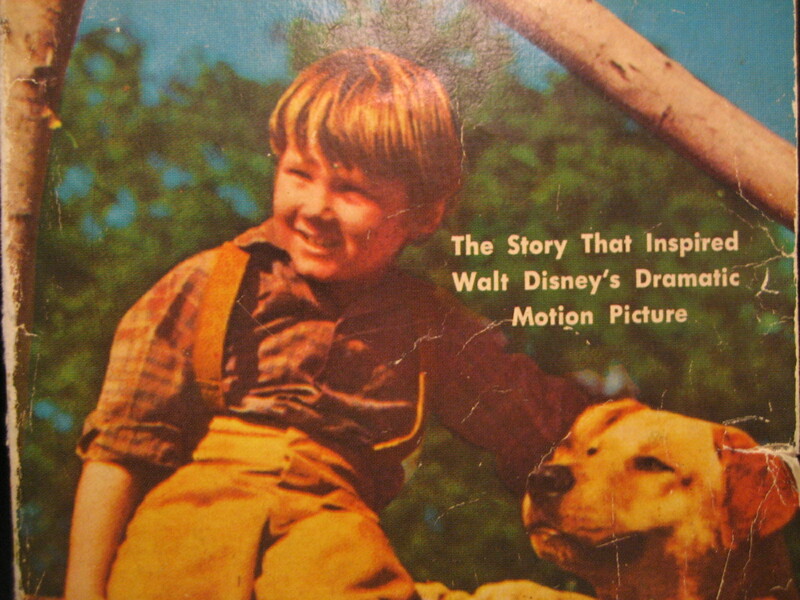 Taken from the 1957 film, this cover has thankfully been retired for some time. A related aside: don’t you hate it when books take images from the movie? Has there ever been a movie tie-in cover that has trumped the original? I daresay never. As the librarian of an aging (PreK-6) collection, my students and I often discuss the disconnect between cover coolness and story coolness. 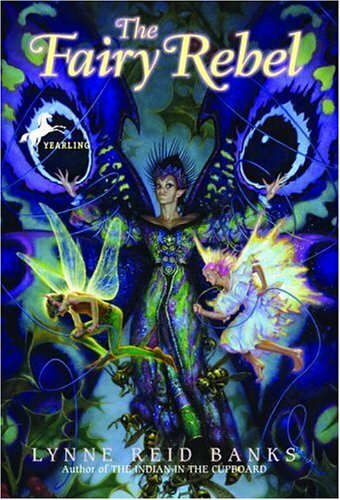 My favorite example is The Fairy Rebel by Lynn Reid Banks. Here’s one cover: http://ecx.images-amazon.com/images/I/511NG8NTVML._SL500_.jpg ; here’s another: http://ecx.images-amazon.com/images/I/511NG8NTVML._SL500_.jpg . Unfortunately, the second is the edition we have in our library. Hmm. Movie tie-in cover that trumped the original . . . . that’s a good question. There must be. What about Nim’s Island? I kinda liked the new movie cover they put on it. Of course, the only think of the worst of the worst. My nomination? When they put the movie poster from the Steve Martin version of “Cheaper by the Dozen” on the cover of the original book. Weirdest. Match-Up. Ever. Nim’s Island is a solid call. I was thinking that the movie tie-in of City of Ember was pretty good – but really, the original is still tops. I know the “Cheaper By the Dozen” cover you speak of – yeah, having Mr. Martin front and center made for an odd sight on that book. I’m going through a couple more recent ones in my mind: Holes – no, Spiderwick – no, Bridge to Terabithia (even though I called the original an Unfortunate Cover) – still no. Now I’m getting to thinking… Is it that these covers really are that much worse, or is it just that anything other than the original is automatically damaged goods? I think I’m going with the “not as good” option.